Rollo Dilworth is assistant professor of music, director of the bachelor of music education program, and director of the choral program at North Park University, Chicago, IL, where he has taught since 1996. In 2003 the University honored him with the 2003 Zenos Hawkinson Award for Teaching and Campus Leadership. Dilworth has a bachelor of science in music education from Case Western Reserve University; a M.Ed. from University of Missouri-St. Louis; and a D.M.A. from Northwestern University. In addition to his teaching responsibilities, Dilworth serves as conductor of the North Park University Gospel Choir and the University Choir. He is an oft-published composer of choral music, with emphasis in the areas of spirituals and gospel inspired works. He is an award-winning composer and his work has taken him to the continents of Europe, Asia, Africa and Australia. In addition to his research in African-American music, he also serves as Minister of Music at Martin Temple African Methodist Episcopal Zion Church in Chicago. This second volume of the popular Choir Builders for Growing Voices series offers 24 MORE warm-ups and workouts for teaching proper vocal technique to young voices! These fun and original reproducible exercises will continue to get your students' growing voices on the right track to producing a quality sound. Strengthen phrasing and breath control, use dynamic expression, enhance independent and harmonic singing, perform accurate articulations, head voice "sighs," swing eighths and syncopation patterns, proper diction and rhythm accuracy, and much more with these wonderful exercises for young voices. Sing along with the demonstration tracks on the enclosed CD for quick learning, or use the accompaniment-only tracks for ear training and assessment options. Twelve of the exercises also offer optional Orff and percussion accompaniment parts. Get ready for more of a workout to a better sounding choir! Have fun with your choral warm-ups! With this collection of fifty-four inventive and educational songs and exercises, your choir will beg for more. Start out with the unison pieces and "build" to the more challenging exercises for 2-part, 3-part or 4-part treble or mixed voices. Use the demonstration CD for quick learning or sing along with the recording to have hands-free, portable warm-ups at your fingertips every day. Developed and composed by the award-winning choral composer and master teacher, Rollo Dilworth, Choir Builders will prove to be a "fun"damental way of improving and sustaining a quality choral sound with your performance groups. Opening with a slow rendition of 'Get on Board Little Children,' 'De Gospel Train' quickly picks up steam arriving at a memorable final chorus. Building from an opening ostinato to a rousing finish, 'Since I Laid My Burdens Down' can be performed a cappella or accompanied. Dilworth pays homage to Moses Hogan in his powerhouse, 'Jeremiah's Fire.' A tambourine drives the rhythm as the fiery vocals build to a breathtaking ending. Spectacular! Enjoy the challenge and reward of this contemporary setting of the traditional spiritual 'Sistah Mary' with its vibrant rhythms and fresh harmonization. An exciting and dramatic setting of the traditional spiritual "Roll, Jordan, Roll! ", this substantial work is brimming with brilliance and virtuosity for choirs up to the challenge! Songlist: Jeremiah's Fire!, De Gospel Train, Since I Laid My Burdens Down, Sistah Mary, Roll, Jordan, Roll! Displaying 1-50 of 190 items. This contemporary composition enhances the original lined-spiritual with great rhythmic drive, text painting and lush harmonies. It is a great addition to Christmas literature, though it could easily find its way into programs year-round. This well-known spiritual of assurance with its slow gospel tempo and underlying pulsating drive is full of heartfelt emotion and soul. This accessible anthem written primarily in two-parts will be uplifting to both your choir and congregation and the optional vocal stack at the end brings it all home. Performance Time: Approx. 4:00. With a Portuguese text and rhythms in the popular Brazilian groove known as Capoeira, this song of celebration begins with all voice parts emulating rhythm instruments. If all goes well, a dance just might break out in the auditorium during the performance. Based on two African American spirituals with additional words and music by the composer, this is a fantastic concert closer! Building from a layered unaccompanied opening section, the music builds into a driving gospel rhythm with piano, bass and percussion, punctuated by cries of Dan-i-el! Powerful! Duration: ca. 4:30. Based on the traditional African American spiritual, this setting depicts the story of Noah and the flood. After the baritone soloist introduces the chorus of the spiritual, the SSATB choir responds with a harmonized version. The audience gets the opportunity to participate in this gospel-style arrangement by making percussive rain sounds during the 2-measure breaks of the closing section. Rhythm/Trumpets parts available as a digital download (tpt 1-3, b, dm). Duration: ca. 3:30. This latest selection from the Henry Leck Creating Choral Artistry series was debuted by the ACDA Junior High Honor Choir in February 2003. Based on the Kenyan phrase for the voice of the dove this composition combines the imagery of the African landscape and its musical essence. Available separately: SATB, SAB and SSAA. Performance Time: Approx. 3:40. This latest selection from the Henry Leck Creating Choral Artistry series will be debuted by the ACDA Junior High Honor Choir in February. Based on the Kenyan phrase for the voice of the dove this composition combines the imagery of the African landscape and its musical essence. Available separately: SATB, SAB and SSAA. Performance Time: Approx. 3:40. Now available for mixed voices! This vibrant setting of the favorite spiritual will shine in performance with its crisp rhythms, call and response phrases and unexpected harmonic turns. Not to be missed! 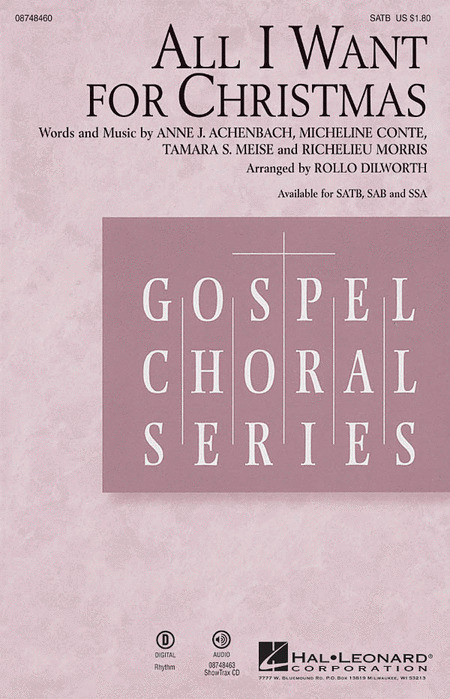 Now available for treble voices, written for the 50th anniversary of the Chicago Children's Choir, this jazz-infused gospel original was inspired by the great spirituals of the past. Marked by invigorating rhythms, bluesy melodies and full harmonies, this work makes a wonderful concert closer or mass-choir finale. Quotes of the beloved spiritual Hold On are combined with excerpts from Freedom's Plow by Langston Hughes in this powerful and dramatic work commissioned by the St. Louis Symphony. Themes of the struggle for liberty and justice throughout America and the world make this a magnificent concert closer for festival and community performances with keyboard, bass and drums or the optional orchestral accompaniment! 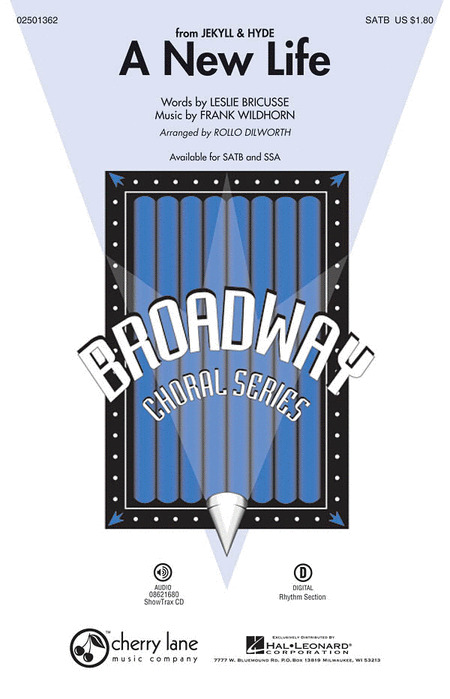 Available separately: SATB divisi, Orchestra score and parts (fl, ob, cl, bn, hn, tpt 1-3, tbn 1-2 (btbn), bells, perc 1-2, vn 1-2, va, vc, db). Duration: ca. 5:00. This well-known spiritual of assurance with its slow gospel tempo and underlying pulsating drive is full of heartfelt emotion and soul. This accessible anthem written primarily in two parts will be uplifting to both your choir and congregation, and the optional vocal stack at the end brings it all home. Available separately: SATB. Duration: ca. 2:45. Walk with me, sing with me, work with me - this song encourages understanding and unity with a steady and rhythmic energy that just builds and builds! Ideal for concerts and festivals, this compelling work truly brings people together! Duration: ca. 3:20.